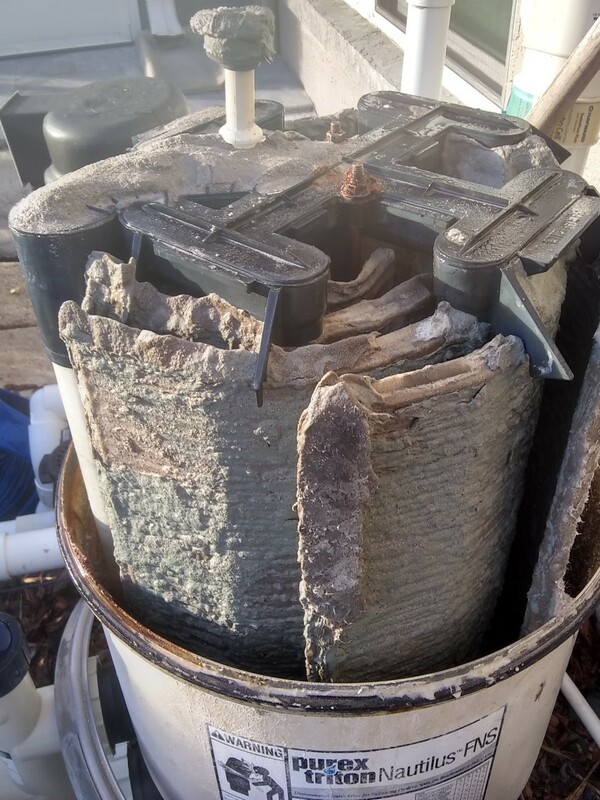 Build up: Too much DE can build up over time and back-washing no longer pushes the old DE off of the filter grids when the flow is reversed during the back-wash cycle. Torn Grids: When a filter grid is torn, DE powder will escape through the tear. Very minor tears will still allow the filter to hold DE. Normally when a minor tear in a grid happens, It's usually not long after that other grids begin to tear as well. 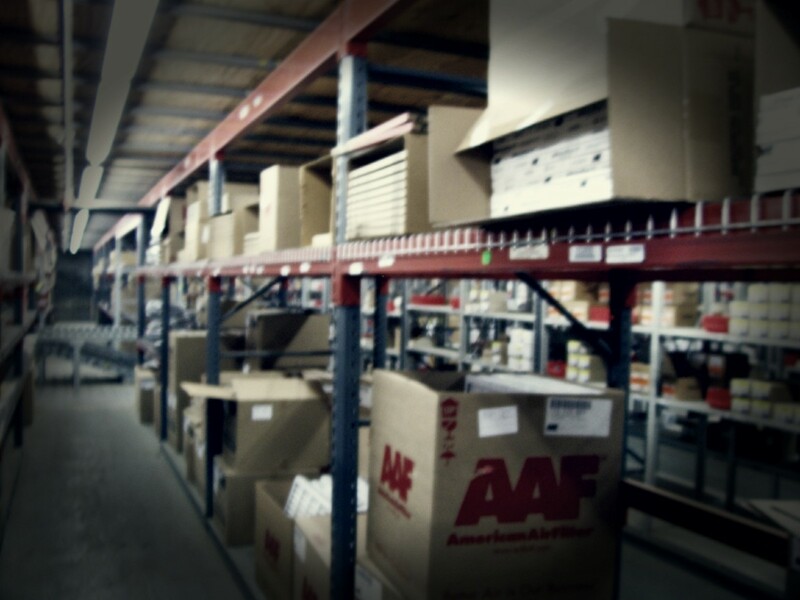 Although individual grids can be purchased, It's recommended to replace to replace the entire set. Manifold: The manifold on the top of the grid assembly directs flow through the grids. 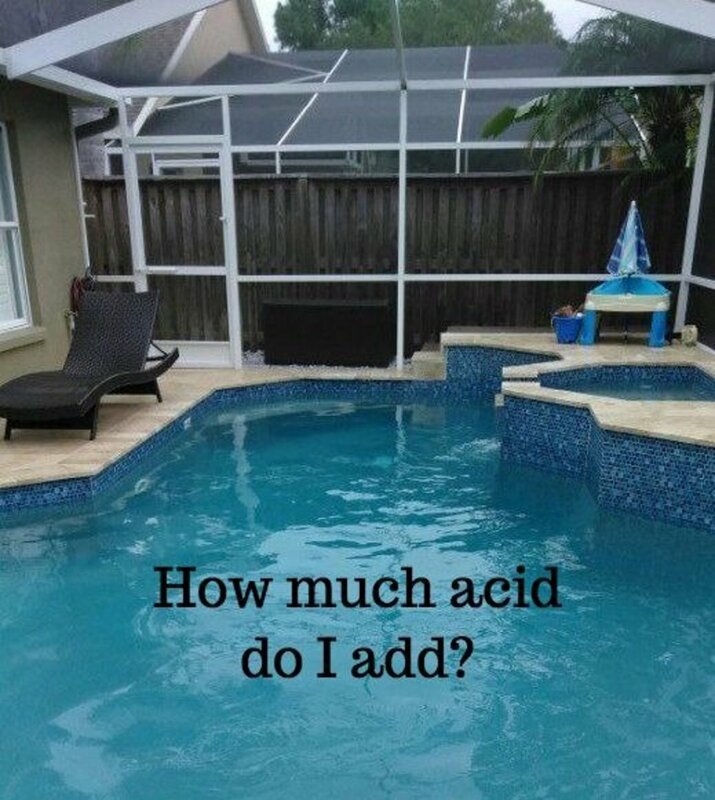 These can crack and allow most, if not all of the DE powder to blow back into the pool. In this case, the manifold will need to be replaced. 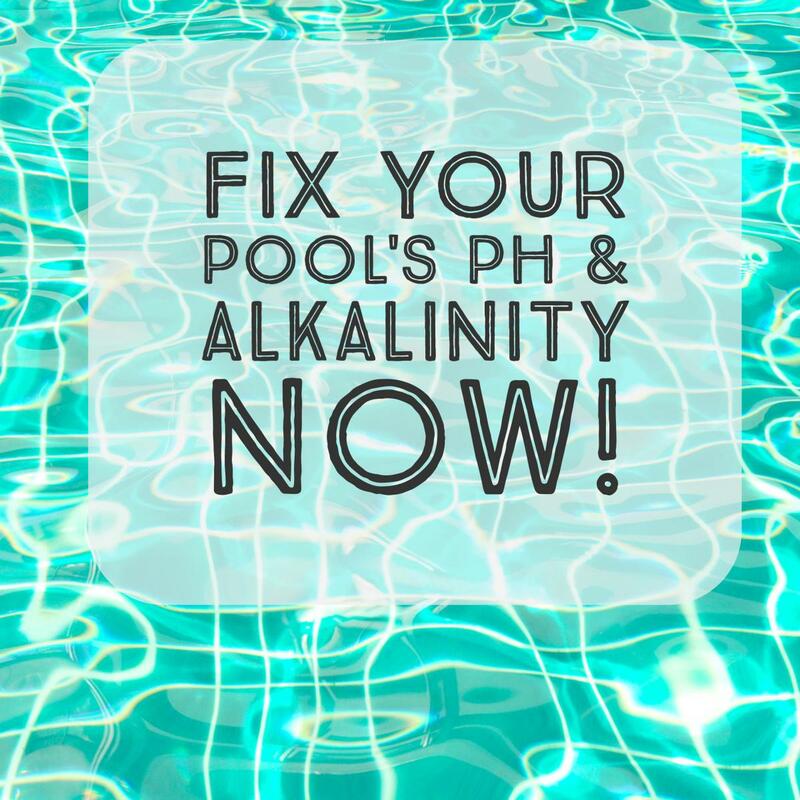 Be sure the pool pump won't come on. 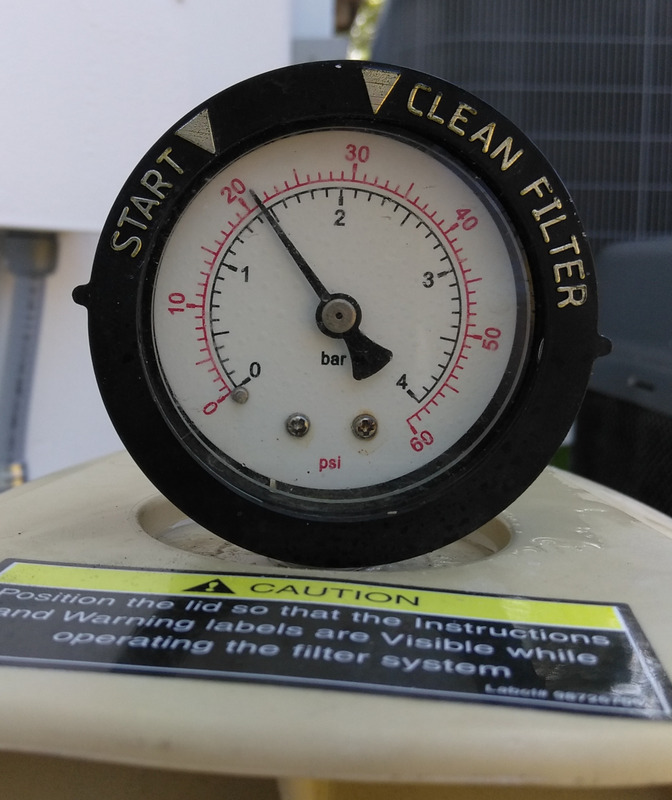 Shut timer off, or "service mode" in automated systems. Service mode isn't usually accessible from the remote. Will need to execute service mode from the outside control panel. 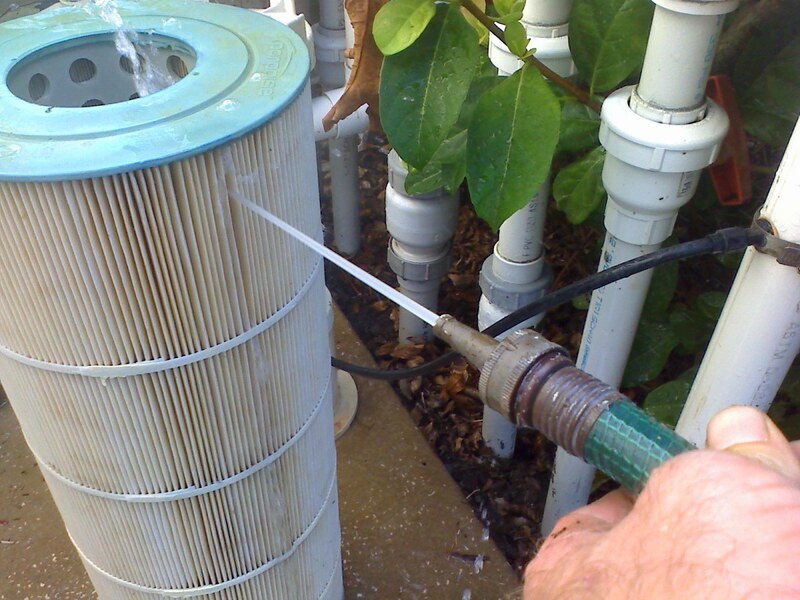 There's no need for using any harsh chemicals to clean the filter grids. Just rinse the grids with a good jet nozzle on the hose. Do NOT take the grid assembly apart unless you like puzzles. Can be a bit of a hassle to re-assemble. When the grid assembly is clean it will need inspected. Look for cracks on the Manifold (top large plastic piece that holds the grid assembly together) Also be sure to inspect the grids themselves and look for rips or tears in the material. 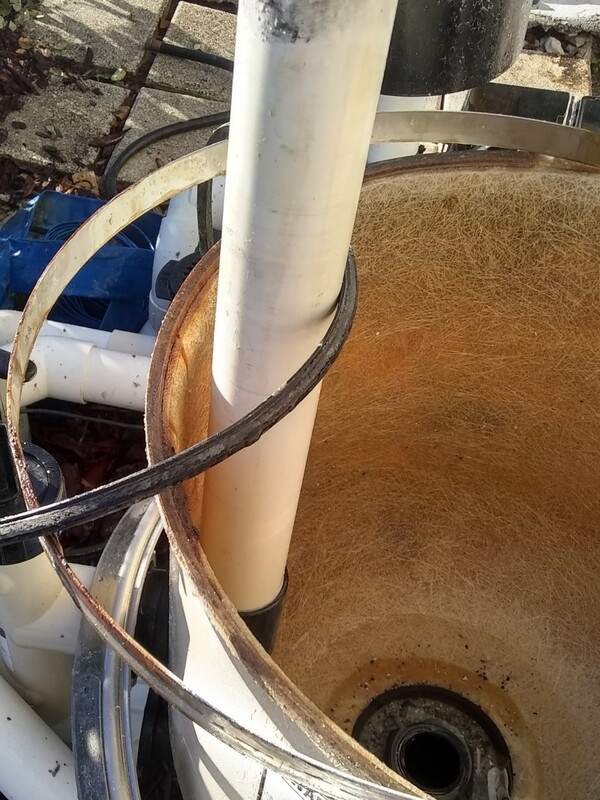 There is an inner metal ring on the inside perimeter of the lower half of the filter, the split point. 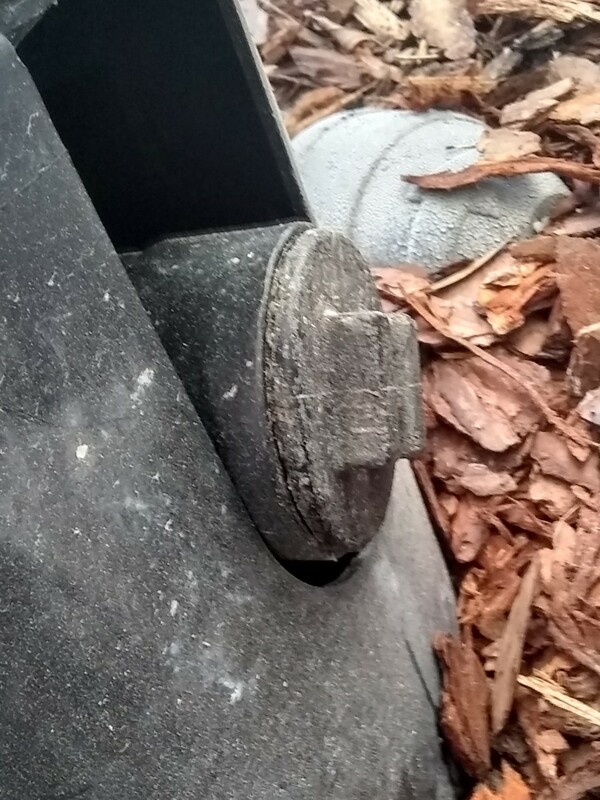 The rubber o-ring is wrapped around this metal ring. 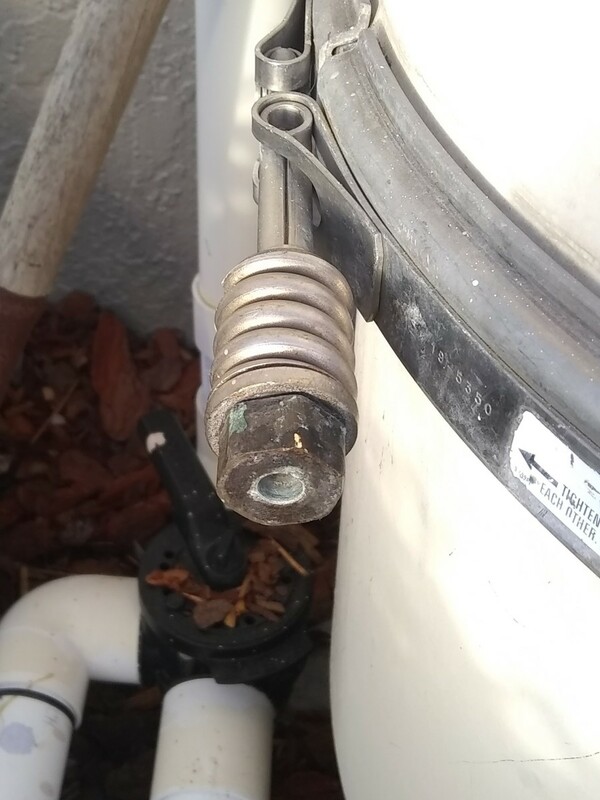 Remove both from the filter and rinse clean both the metal ring and o-ring. 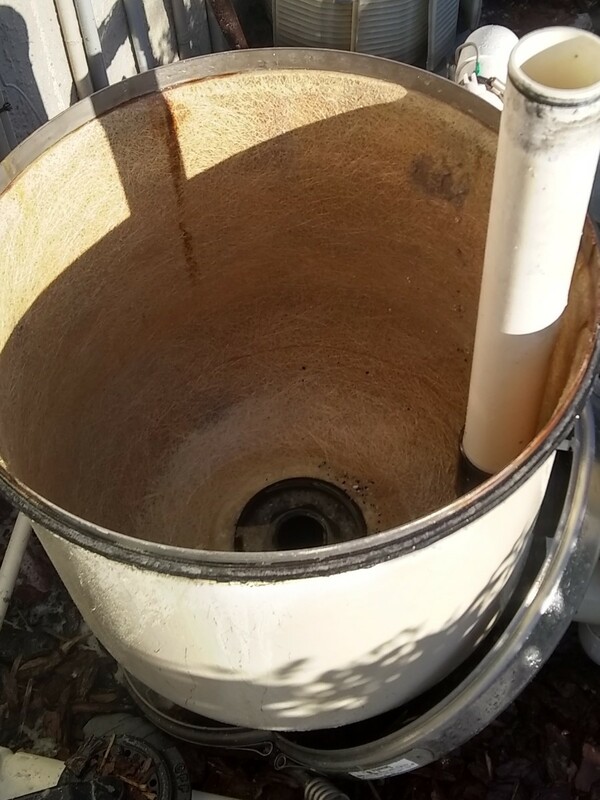 Rinse the split point on the filter housing of any loose debris. 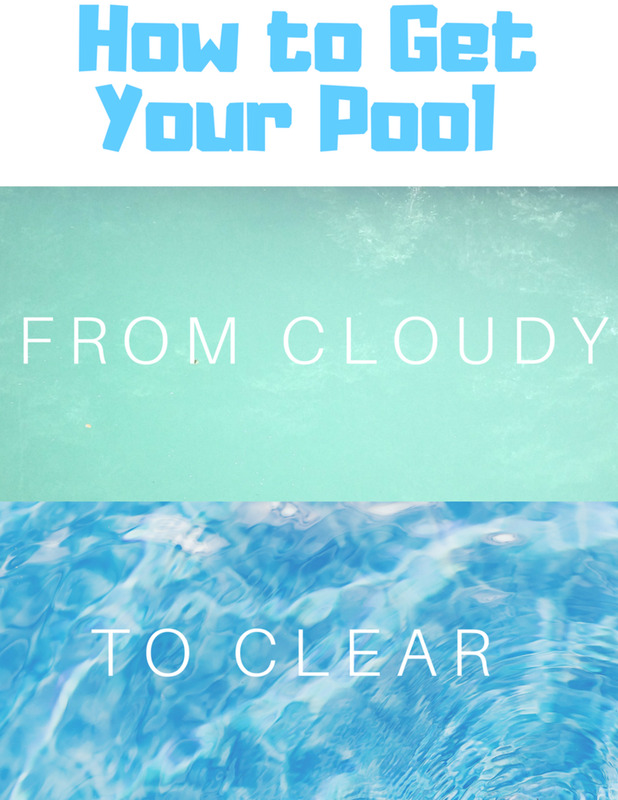 Make sure that the o-ring is lubricated with a sealant/lubricant specifically designed and manufactured for swimming pool equipment. Set the lid on and turn lid slightly right and left to set the lid well into the lubricated o-ring. 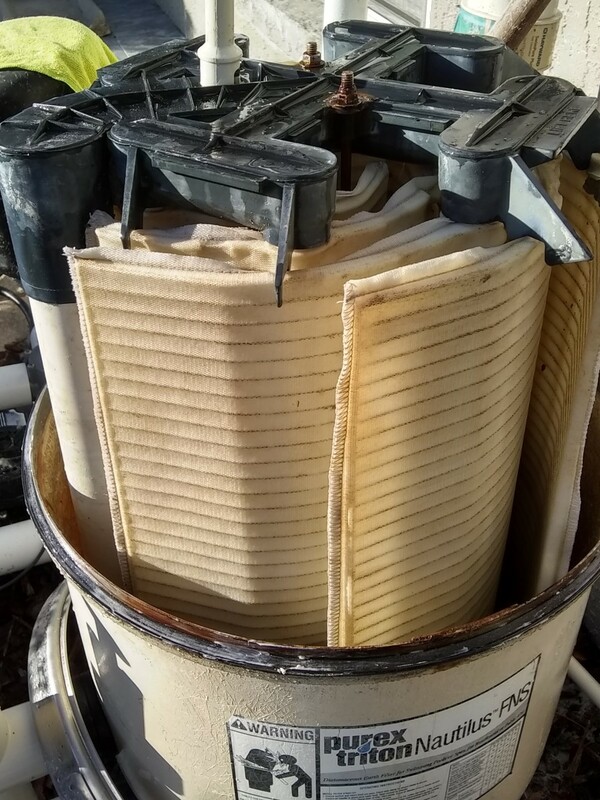 Replace the band clamp and tighten both bolts on each side of the filter housing. 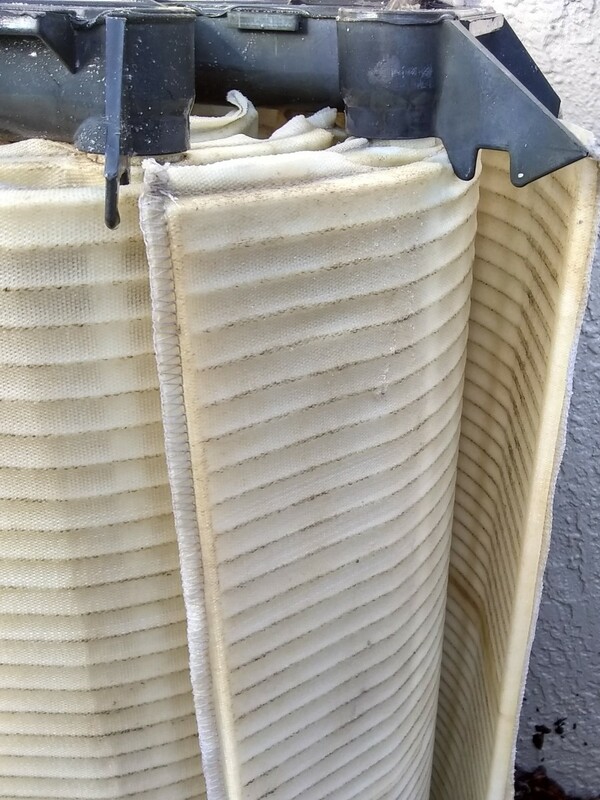 Replace the drain plug on the back of the filter. Close air relief valve. 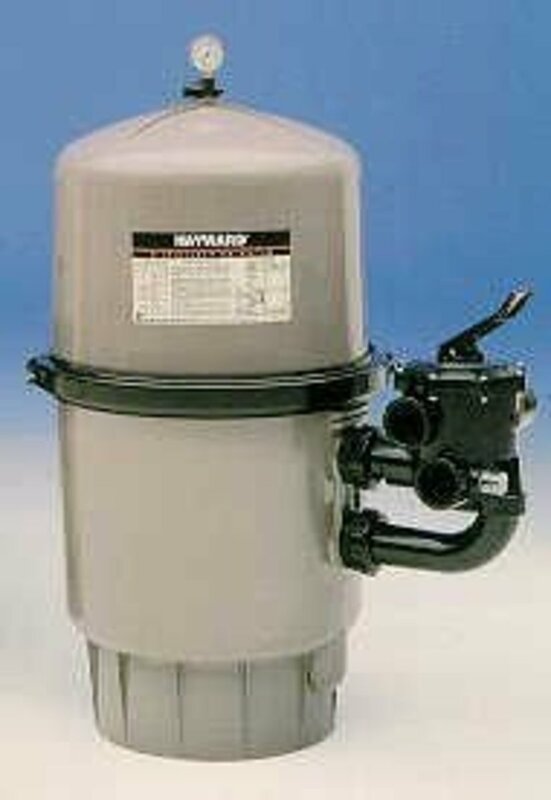 What Is a DE Pool Filter and How Does It Work? The o-ring can be found here..
Also, if you can't lift the grid assembly out, you should still be able to clean the grids but won't be able to inspect them for damage. Move grid assembly back and forth while pulling upwards and should be able to remove it. The grid will not lift out. Afraid to put too much vertical pull on it so as to not break the pipe. Second, after cleaning everything and putting the O-ring and top back on, it leaks water at 20+ PSI. Used Silicon Plumbers lube on all sides of the O-ring, and tightened the band to specs. 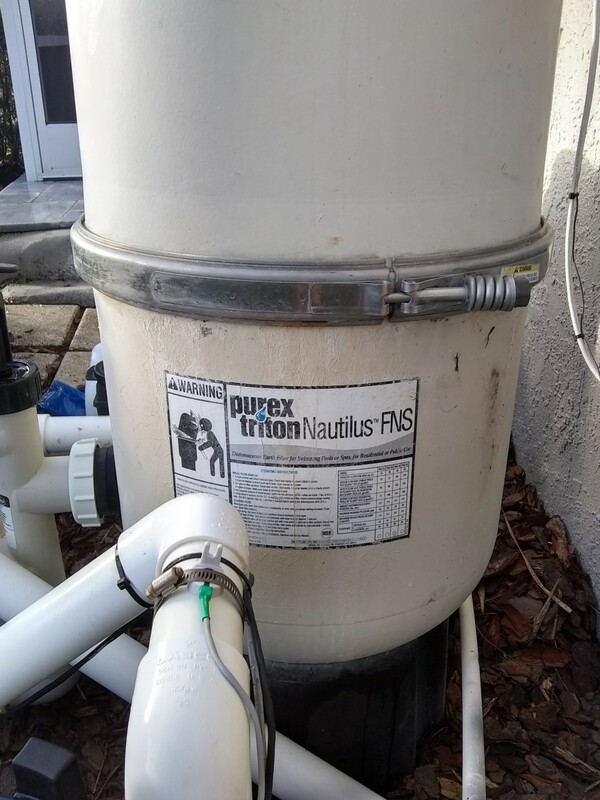 Now seeking NEW O-ring and find that Purex Triton Nautilus FNS 36 parts do not exist under this name. suggestions?